How to Get the Most Affordable Home Insurance Leads? How to Get the Most Affordable Home Insurance Leads? How to Get the Most Affordable Home Insurance Leads? Gathering quality leads is an important aspect of business for insurance agencies around the world. The same goes for agencies looking for home insurance leads in Las Vegas. But getting leads isn’t enough in itself. You need affordable home insurance leads and they need to be of an acceptable quality. Most businesses aren’t sure what works and what doesn’t, as a result, is left with a mix and match of choices that end up burning money and produces limited results. However, if you could know more about the process, you could make better decisions and get the most affordable leads in Las Vegas. So, we’ll take you through a snapshot of how it works. How are Home Insurance Leads Generated? Lead generation is nothing new. It has been done since ages, but over a period of time, the process has evolved. However, certain aspects of the process have remained constant which can still help and get you the most bang for your buck. When talking about the qualitative aspect of leads, direct request beat them all, simply because they are already verified, filtered and interested in your services. So, asking existing customers for referrals is one of the best methods to generate leads. Unfortunately, they are hard to get in volume and is not enough to sustain a business. Another affordable yet time-tested method of generating leads is getting into partnerships with other business. Often businesses in related niches strike up partnerships to share leads with each other. These leads are passed on particularly because the first company might not be able to help them. However, though more in number than referrals, this method still doesn’t generate enough for a growing business. Just like with many professional services such as doctors, lawyers, accountant and marketing professionals, agents too have their own associations, groups, and conventions. These places are great for interacting with other industry members and prospective customers. Forming a lead exchange group or just simply networking through these events can also generate a healthy dose of leads. Getting into the deeper end of the pool, you can also try to generate leads from advertisements. It offers a vast array of choices depending upon your target demographic and budget. For example, if you’re looking for experienced professionals who read newspapers, you can advertise by putting flyers inside newspapers. Your choice of the medium will also be determined by the budget you have for a lead generation. Considering the current growth of online commerce and the social network, online advertising to has a found a place among lead generation agencies. Additionally, it’s more effective and can deliver to your specific requests, all within your prescribed budget. How to get Internet Generated Home Insurance Leads in Las Vegas? You can generate your own leads off the internet using a number of methods. Some of which are through Adwords, Bing Ads, Pop Ups, Pop-unders and email marketing. But in this section, we are not going to delve into the technicalities. Instead, we’ll try to help you understand how you can learn the essence of generating online leads and then apply that to every method mentioned above. Unique pitch – When working with marketing campaigns, remember that the same pitch does not work for everybody. You need to customize your pitch so that it fits your customer or customer’s demographic profile. For best results, try out different variations of a single pitch and A/B test to confirm the best out of the lot. Fast response time – Internet is a place where people aren’t really patient. There are tons of options on the net and if you aren’t prompt, you can lose a prospective customer. When replying to queries, remember to be prompt and have a fast response time for all mediums, whether it is email, website chat or social media. Customers like businesses that are prompt since it showcases care and understanding. Be Courteous – As mentioned above, people aren’t always patient online. So, if you’re looking for your email list to get back to you or a prospective customer to return your call, remember to be courteous, polite and firm. It’s alright to be ambitious and persistent, but being too persistent can be very bad. Customers don’t like to be forced and rushed. It’s essential that you listen to your customer and try and understand their point of view. Always remember to be courteous, since they’ll remember that as well! What to Consider Before Purchasing Insurance Leads? While home insurance lead generation can be done online, not everybody has the experience and the machinery needed to achieve it. In that case, there is always an option to simply purchase them. But how do you know if you’re being handed a genuine deal or being taken out for a ride? Leads to Agent Ratio – One of the most important aspects of lead generation are the leads to agent ratio. When buying home insurance leads for agents, you need to ensure that you are getting as many leads per agent as possible. For a consistent cash flow, you need to be able to provide your agents with a consistent list of leads. Filter Options – While getting more leads is always good, not all of those leads will turn out to be genuine. Some might no longer be interested in your product, while others might have already been contacted by another agency. Either way, if you need your leads to turn out good, you need to filter them. You can either filter the leads by setting your own verification system or ask the lead generating company to filter them for you. This is likely to cost you more but should save you a headache. Ultimately, the goal is always to grow. 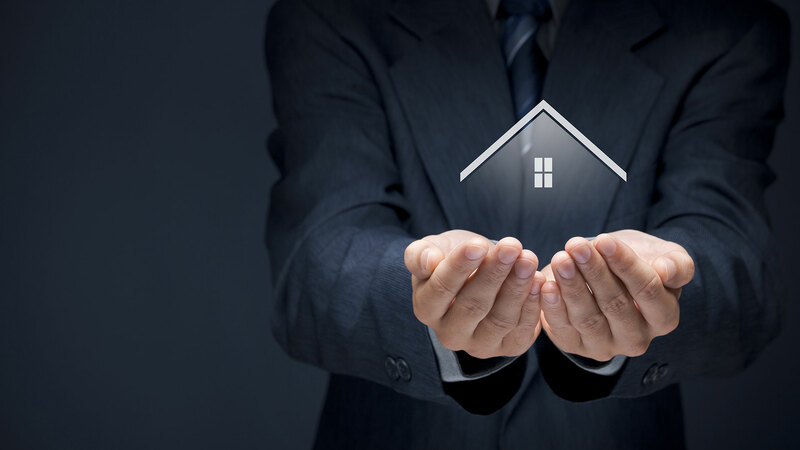 Depending on your available resources and business strategy you can use any number of the methods mentioned above to get the most affordable home insurance leads in Las Vegas. The more exclusive home insurance leads you to have, the better for you.